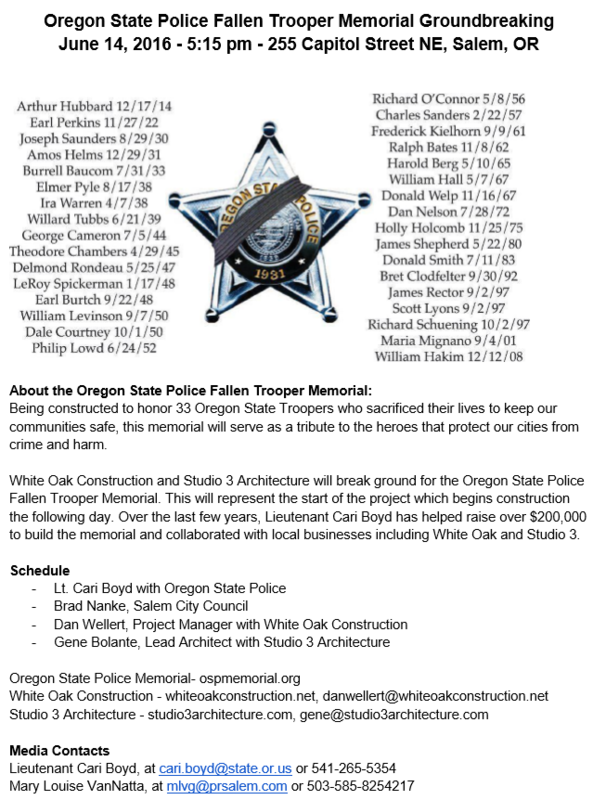 Gene Bolante took part in the groundbreaking for the Oregon State Police Fallen Trooper Memorial. We are incredibly honored to be a work on a project recognizing the 33 state troopers who have made the ultimate sacrifice. Read more about the memorial from the Statesman Journal.